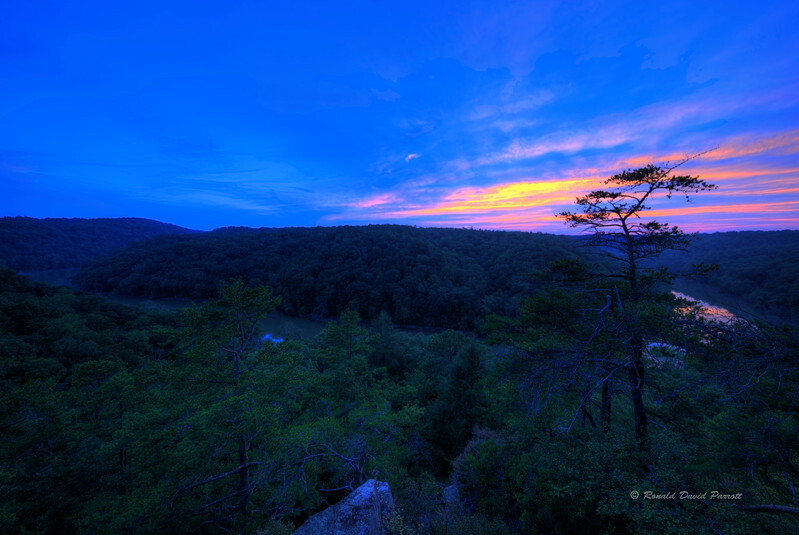 This is sunset at the Rockcastle River in Kentucky (at the Laurel County/Pulaski County border). The class III and class IV whitewater rapids upstream challenge adventuresome kayakers. However, at this spot the river is relatively wide and calm (due to back-flow from Lake Cumberland).